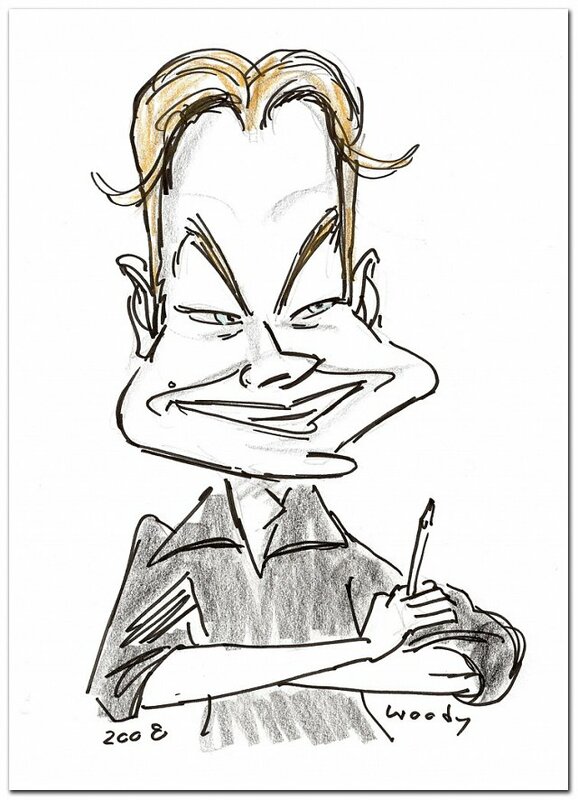 Alex Williams is a cartoonist, film animator, and sometime barrister. He studied law at the Inns of Court School of Law in 1994. The Queens Counsel cartoon strip was born in the flyleaf of a civil litigation textbook during a particularly tedious stint in the law library. You can read the full story here. Alex briefly practiced law at 12 King's Bench Walk before fleeing to Hollywood to draw cartoons, and other dubious pursuits. Nowadays he keeps up with law by getting his long-suffering wife Sarah, who works at a leading law firm in London, to write all his jokes. Well, the funny ones anyway. You can see an interview with Alex at www.moretolaw.com, and at Skwigly magazine. You can also see his animation work at www.alex-williams.com, and catch the latest news at his animation blog FLIP.